of extra services to help grow and manage your firm. 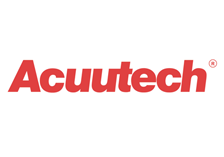 Acuutech is a global holistic IT solutions company. We have been established for 20 years and are leading providers for managed IT and cloud services. We are global partners with IBM, Microsoft and Citrix in addition we are ISO 27001 Certified. Offices in the UK, Singapore and USA all with strong technical led customer support teams, we are able to provide our clients with 24x7x365 support in over 36 countries, worldwide. We have been a market leader in the Cloud Space since 2000 providing unparalleled expertise in all aspects of the Cloud infrastructure that clients are often looking for but are unable to execute in an effective manner. Today, we are highly recognised by our partners, certified to the higher standards, these include being part of many elite could service provider programmes and working closely with Microsoft to offer customers hybrid cloud and Azure-enabled solutions. We provide Office 365, Microsoft Azure and local hosted clouds. We have built a strong portfolio of products geared towards single, complex and multi-site operations. Our services consist of start-up business, IT Procurement, Office moves, cloud readiness assessments, security, cloud secure file sharing, Office 365 and IT support, to name a few. Our approach is collaborative with clients ensuring that they receive the solution that they need without any unnecessary additional costs whilst achieving their end objective for their IT. 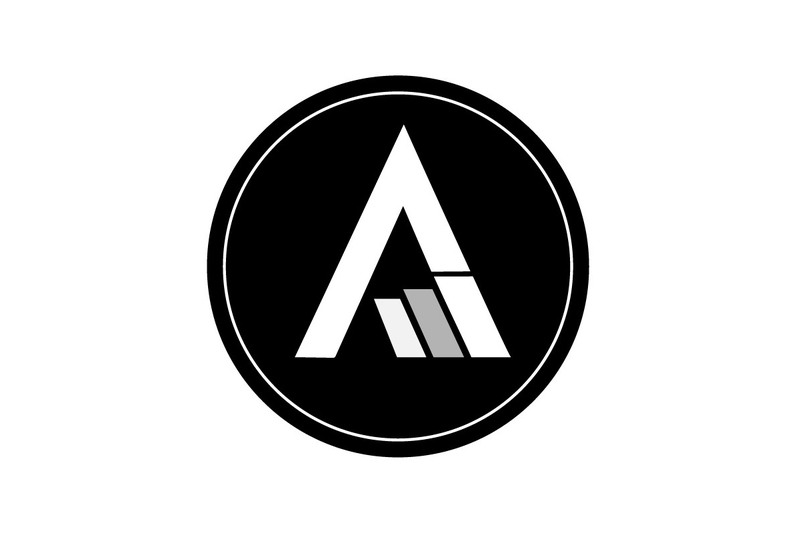 Ascentant is a young, dynamic company which has a range of expertise in the IT industry. Our staff have come from the industry and are proactive in finding solutions which work for you. We focus solely on Law and Legal firms and ensure any solution we provide will always abide by any regulations. We regularly find ourselves on Law support websites ensuring any new information is fed in to our products and services. Our services include and are not limited to: Remote Monitoring and Maintenance (computers and network equipment) - Computer Repairs - IT Equipment Purchasing (software and hardware) - IT Consultancy - Service Administration - Disaster Recovery and Business Continuity - Remote Access Setup and Security. If you’re looking for a company who work with you to ensure you can expand and continue to move forward, then give Ascentant a try today. 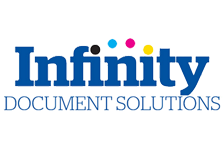 Infinity Documents Solutions are providers of photocopiers, printers and scanners, document management systems, print management systems, multi-functional devices, print Audit and managed print services across the UK, with specialist experience of integrating legal case management solutions. Our integration with LEAP enables your paper documents to be seamlessly attached the LEAP matter at the point of scanning, saving a great deal of time and improving efficiency. Please contact us to discuss how our solution can streamline your processes. 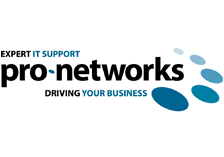 Perfectly placed between the one-man band who lacks IT support muscle and larger companies bound by size and impersonality, Pro-Networks deliver an assured blend of certified support, experience and expertise. Fundamentally, IT support is a business decision, not a technical issue. Downtime costs money, time and reputation. And if things go too wrong for too long then livelihoods, careers and businesses are on the line. We’ve been providing IT support and related services for 20 years and in that time have built a large and loyal customer base. Our 99% customer retention rate says you’ll like the service you get. So whether you’re looking to supplement your existing in-house IT staff or want a virtual IT department to support your business – use us. We’ve got all the expert business IT support service plans you need – whenever and wherever you need them. Service areas: Chester, Warrington, North Wales and north west of England. RES Info-Tech was formed in 2003 and specialises in IT Support for the legal profession. All engineers are Microsoft Certified and the business is valued on customer service. 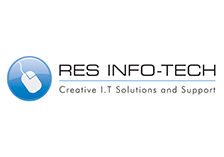 For over 13 years RES Info-Tech has been providing exceptional I.T. support to the legal profession within both single office and multi-site firms. We recognise the unique challenges faced by law firms and focus our I.T. expertise and personable service within this area. We pride ourselves on ensuring that every client’s systems and security are uncompromised at all times which we know is invaluable. It is important to us that every user experience is a stress free and happy one and are pleased to guarantee that “up time is all the time”. The services we offer are: SPAM Filtering, Hardware Troubleshooting Upgrades, Cyber protection and Cloud technology Virtualisation. Service areas: We are based in Leigh on Sea, Essex. We support all areas of London and wider parts of the UK (North and South). Our key strength is in our independent consultants that have specialist technical knowledge and strong vertical expertise. We deliver exceptional customer experience as we have a very flexible approach. Our focus is always on delivering IT projects and resources that facilitate technology changes to improve your output and add value to your business. In addition to providing you with an account team that will work closely with you, VitrX are also extremely flexible and would be receptive to discussing a long term strategic policy with your organisation to ensure a full and transparent approach is taken from day one of our proposed long term engagement. We pride ourselves on our ability to deliver your project on time and within budget, and then uniquely, to drive end-user adoption successfully so your new technology can have an instant and long-lasting positive impact on your business. We would achieve this by working closely with key internal IT departments and Project Managers to identify the most effective solution to your specific business challenges. Our deployment flexibility and team of industry experts are there to minimise any risk for your organisation and to ensure you are equipped with business-critical tools that scale in line with your projected growth. 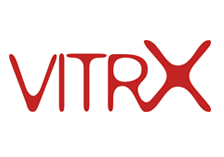 Our IT experience with organisations large and small means we believe that our experienced, team, partnerships, accreditations and unparalleled customer care makes VitrX the ideal partner of choice. We look after over 200 clients in the UK and over 10 Worldwide. These numbers are continually growing.